to introduce a new facelift to our company brand. Imagine stepping into a peaceful oasis where you can prepare for the day ahead or relax after a long day. Turn this dream into reality with a bathroom renovation. With the seemingly endless options now available and new advances in technology, it is possible to give your imagination a little room to run wild as you plan your new space. 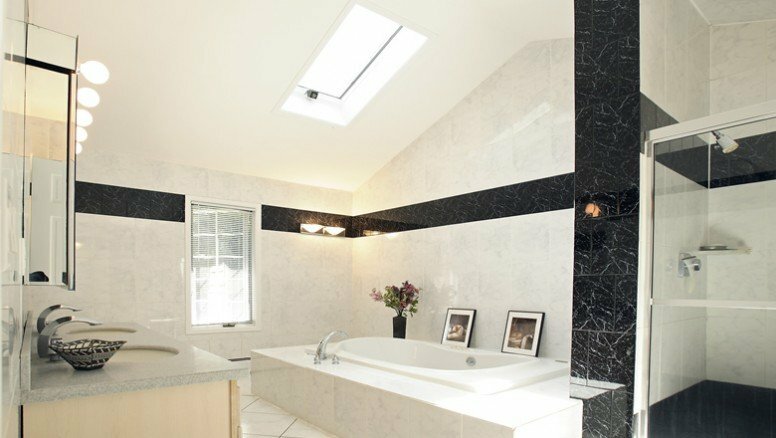 Here at Western Bathrooms, we love helping customers turn inspiration into a plan and then delivering stunning results. We focus on quality, both with our products and our work, so that we can complete the job to fully satisfy your expectations. Rejuvenate your space and start enjoying your own personal in-home spa with a Calgary bathroom renovation. Indulge in your brand-new bathroom, styled and designed to your exact specifications. We take care of the heavy lifting, so you can focus on relaxing in your own personal lounge. The delight of having a space designed for you is hard to quantify. When your environment reflects your personal tastes and personality, you can feel more comfortable and relaxed. You should not have to tolerate a bathroom that is not meeting your needs; Calgary bathroom renovations can help you create a space that is just right for you. We base our renovation process on your needs and wants so that you can enjoy the finished results. From brainstorming possibilities to completing the finishing touches, every step of our process helps you achieve the beautiful bathroom you desire. When a space is designed for you from start to finish, you will be amazed at the results. We love hearing from you about your ideas for bathroom renovations. One of the things we enjoy about our work is sharing the excitement of a renovation with our customers and helping make their vision a reality. We are happy to come to your home or meet with you at our storeroom to explore the possibilities based on your space and requirements. During this initial phase, we also help you design the look and feel of your new bathroom and imagine the final results so you feel confident in the process. No matter what your needs are for your Calgary bathroom renovation, we look forward to putting our years of experience to work for you and helping you turn your ideas into reality. We have over 30 years of industry and technical experience. At Western Bathrooms and Luxuries, we aren't special because we believe we are (though our moms sure think so,) – but we have experienced, tailored and progressed in the industry for over 30 years. 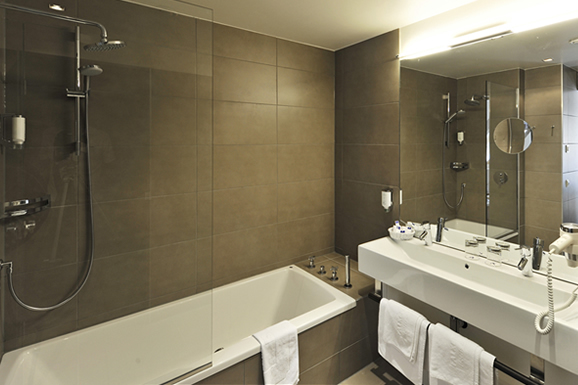 We are specialists in the field of bathroom renovations in Calgary for over 30 years. We know the value of a dollar, but at the same time know how far that dollar should go. You are not buying new tiles, a bathtub and some labor, you are investing in an in-home spa, with a company whos work is its muse to satisfied customers. We don't just renovate your bathroom space, we dynamically improve the overall environment of your home. 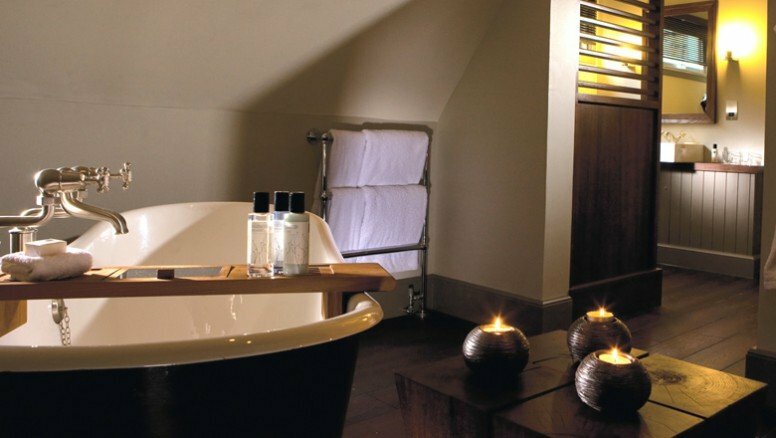 Having an in-house spa provides a personal getaway that benefits everyone. We believe in practice making perfect, which is why we only hire experienced professionals for our renovations, to ensure that Western's work is second to none. At Western Bathrooms we do the entire bathroom renovation. This includes installing flooring, heated tiles, vanity's, counter-tops, soaker bathtubs and more! Ready To Reinvent Your Bathroom? Fit for any budget and sized room. Western Bathrooms was the first company that started offering bathroom packages, which we announce weekly in local newspapers. 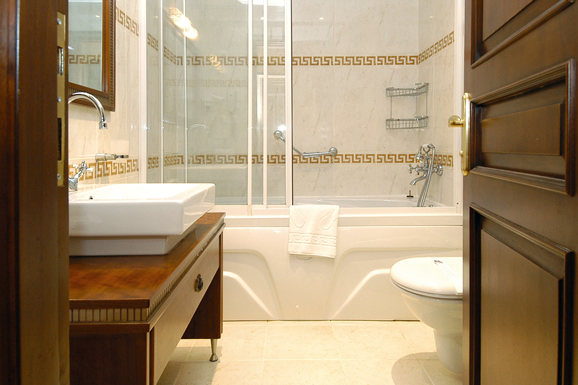 Our services include complete bathroom renovations, such as flooring, heated tile flooring, vanity's and counter-tops. Western offers Calgarians great value for their dollar. We are fully insured, bonded, have workman's compensation, and all of our employees and workers are fully trained and certified in their fields. Install a luxurious Deep Soaker Tub and install all new plumbing with fixtures. Convert your existing bathtub to a luxurious shower up to 60" x 32"
20" Deep Acrylic Whirlpool Tub with 6 jets for the ultimate bathtub experience. Custom Soaker Bathrub with fixtures, with amazing features and extras!